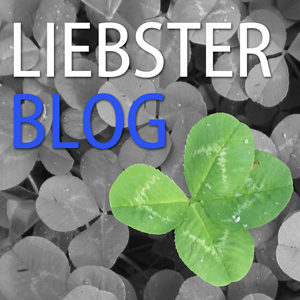 Back to Business & Another Liebster Blog Award! Hello again from me to you in blogging land! I hope this finds you well? In case some of you may have wondered if I had disappeared completely, I should explain that a recent interlude of family commitments conspired (in a good way!) to take me away from all things wireless (no laptop nor any internet service for over 2 weeks) but now I have returned, am here to stay, and it’s back to business! So, with no further ado, the first item on the Agenda is the exciting news that I have been nominated for another Liebster Award! A huge thank you and shout out to Sheila Grimes, my lovely new ‘cyber’ friend, who nominated me for this award over one month ago! Not only that, Sheila has encouraged me so much with her frequent support and greatly appreciated compliments here and really made my day when she said that she ‘just loved reading my stuff’!!! To know that someone really enjoys reading my writing really makes my day! Just so sorry it has taken me this long to post this award! Sheila took early retirement from her nursing job to look after her mother who suffers with Alzheimer’s. Her blog, ‘Alzheimer’s Trail’, which she describes as ‘A Journey in Poems and Prose’, is just that – a truly inspirational collection of heartfelt, beautifully written poems and prose through which she expresses herself as she and her mother make this journey together. Please take the time to visit her blog, I promise you will come away all the richer for it. Rule One: Thank the Liebster-winning blogger who nominated you. Rule Two: Post 11 facts about yourself. Rule Three: Answer the 11 Questions your nominee asked you. Rule Four: Create 11 questions for your nominees to answer. Rule Five: Nominate 11 bloggers (if you can, but doesn’t have to be 11) who you think deserve recognition and have less than 200 followers to the best of your knowledge, then let them know the great news on their blog! Rule Six: Display the award badge on your blog. 2. Why do you write? It frees me to express myself in a way that I can’t do any other way and gives me a great sense of fulfillment. 5. What kinds of books do you read? True crime, psychological thrillers, historical novels, anything about medieval England. 6. How far away is your furthest follower? Australia, I think! 7. What brings you joy? Spending time with my children. 8. How long have you been blogging? 6 months on 9th July! 9. What’s your favorite part of blogging? Knowing that something I’ve written has inspired somebody. 10. Where did you learn about blogging? A book my son’s girlfriend gave me for Christmas – that, and flying by the seat of my pants! 11. What or who is your muse? Life. 1. What is your favourite time of year? 2. If you could live anywhere where would it be? 3. Steak or Fish & Chips? 7. How many times have you moved house? 8. What led you to blogging? 9. Adventure holiday or sitting in the sun reading all day? 11. What has your blog done for you? So there you have it. Now to the nominations! What I love about this award is that it is a wonderful exercise in discovering new blogs and the idea is that it is for bloggers with under 200 followers. Therefore, I made it my mission to find as many new blogs as I could, although I have chosen 8 not 11 (sorry!). A little bit of encouragement goes such a long way and just as I have been so encouraged by the kind recognition I have received, I now hope to be able to pass this on to others and share the good news! Off I now go to let you all know the good news, and may I wish you all many congratulations and all the very best in your blogging journey! This entry was posted in Awards and tagged Liebster Award. Bookmark the permalink. 8 Responses to Back to Business & Another Liebster Blog Award! OMG, Sherri, I am thrilled that you nominated me but I feel so inadequate as I am a fairly inexperienced blogger. I am honored and humbled.I love your, “Summerhouse” and am excited to spend more time here to learn from all of you. I joined WP but flitted from here to Blogger and Examiner, have returned to WP, it feels like home and a great place to send down roots. Thanks again for welcoming me, Sherri. Thank you Sherri for nominating me for this award. I am so pleased I will do my best to follow the rules!! It may take me some time though but I am on to it! Thanks again and for recommending all those other blogs which I will certainly visit. congratulations Sherri, I am now on WordPress too, you might like my page. I only started it a couple of weeks ago but it is to recommend books for children under 11, especially focusing on early reader level books between picture books and longer chapter books. I am still trying to find my way around wordpress and I have loads of books to put up yet but hard to fit it in round the kids. oh and did you see my pics in Prima?